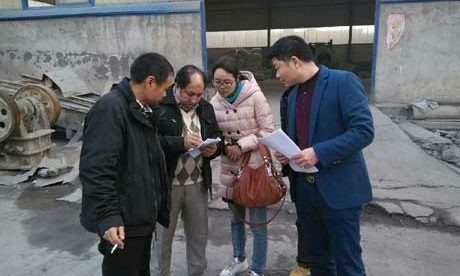 Magnesia Refractory, a kind of basic refractory, is made of magnesite, seawater magnesia and dolomite as the raw materials, periclase as the main crystalline phase and contains more than 80% magnesium oxide content. 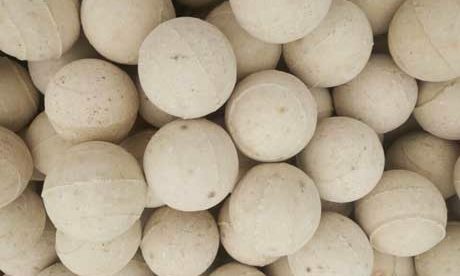 Magnesia Refractory is mainly used for furnace and kiln building for resisting high temperature and other chemical erosion. 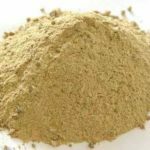 Its products include two types of fettling magnesite grain and magnesian products. 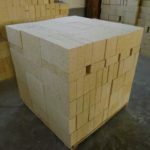 According to chemical composition and application, magnesium oxide refractory can be classified into fettling magnesite grain, magnesia brick, high-silica magnesite brick, magnesia alumina brick, magnesia-calcium brick and magnesia carbon brick and etc. Its property is affected by CaO/SiO2 proportion and impurities. 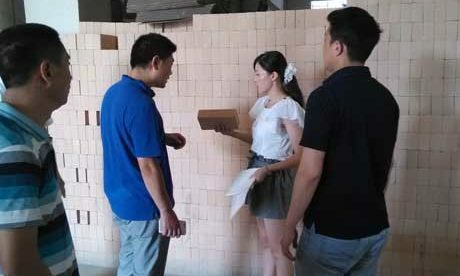 Deformation temperature and thermal shock resistance of high-purity magnesia brick are all better than general magnesia brick. 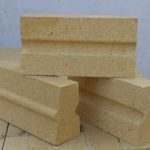 It is a kind of advanced refractory materials with high refractoriness and good resistance to alkali slag and iron cake erosion. 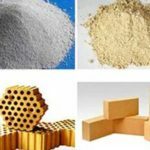 Magnesian products are mainly manufactured with sintering process at the firing temperature of 1500~1800 ℃, addition, also can add chemical bonding agent to make unburned brick and unshaped refractory, which are mainly used in open-hearth furnace, electric furnace, converter, non-ferrous metal metallurgy furnace, cement kiln and calcining kiln. 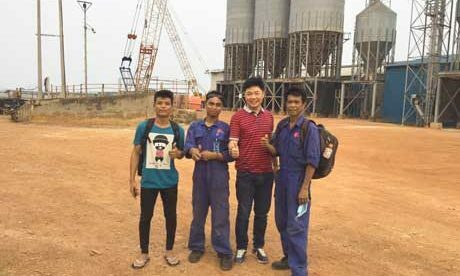 Refractory with over 80~95% MgO content belongs to Magnesia Refractory (mainly means magnesia brick). 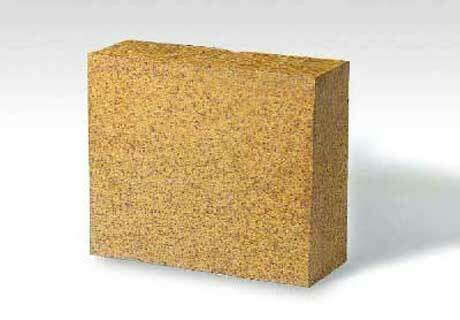 Magnesia brick is widely used in metallurgical industry. 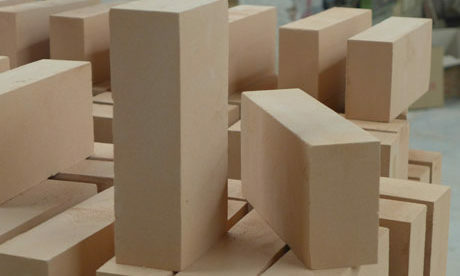 Magnesia brick can be used to build bottom and wall of basic open hearth furnace, furnace lining of top-blown converter, hearth and wall of electric-arc furnace, bottom of soaking pit and heating furnace, lining of metal mixer in steel industry. 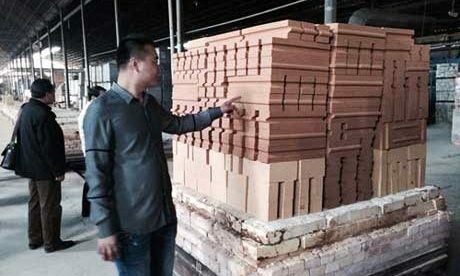 Magnesia brick can be used to build blast furnace, reverberatory furnace for refined copper and lining of electric furnace in Non-ferrous metallurgical industry. 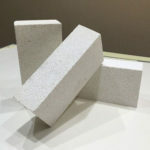 Magnesia alumina brick is manufactured with grain magnesite (MgO>90%, CaO＜2.2%) as the raw material, and added about 8% commercial alumina powder, adopts sulphurous acid sulfite lye as the binding agent through firing under the high temperature of 1580℃. Its phase composition contains periclase as the principal crystalline phase and magnesium aluminate spinel as the base material. 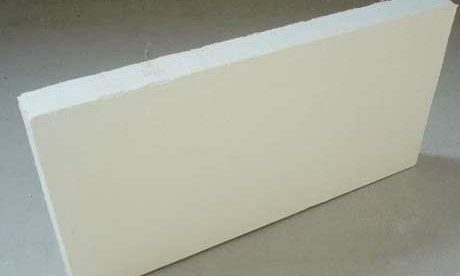 Magnesia alumina brick has good thermal shock resistance and can resist water-cooling for 20~25times or even higher. As magnesium aluminate spinel itself has higher melting point. 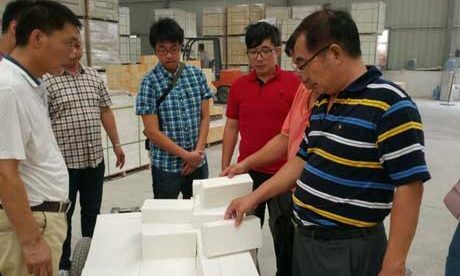 Magnesia alumina brick has better high temperature structure strength than magnesia brick and the high temperature strength reach up to 150~1580℃ or even higher. 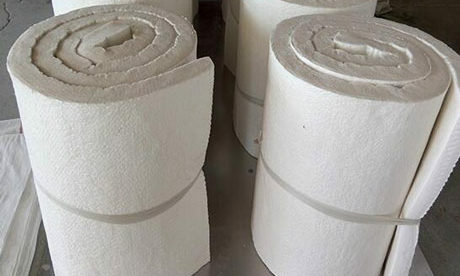 Magnesia alumina brick is widely used as the building materials for furnace top in high temperature smelting furnace of steel-making open-hearth furnace and copper smelting reverberatory furnace. 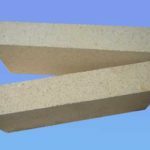 Magnesia alumina brick can prolong the service life of furnace. Magnesite-chrome brick is manufactured with magnesia as the raw material with more than 8% Cr2O3 content. Its main phase composition is periclase and chrome spinel. Magnesite chrome brick has certain resistance to alkali slag erosion and good volume stability property. Its reheating linear change is low. Its major defect is that chrome spinel reacts with iron oxide that will result the bricks’ expansion and speed up the damage for bricks. Magnesite chrome brick is often used to build copper smelting, electric furnace, rotary kiln and some positions of open-hearth furnace. 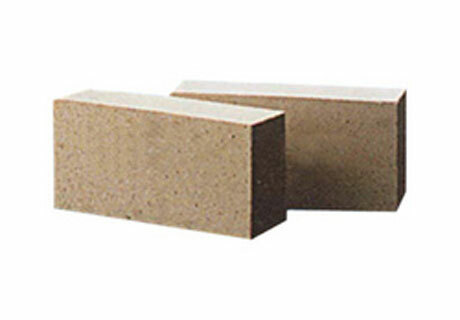 Chrome refractory brick contains more than 30% Cr2O3 content and less than 10~30% MgO content. 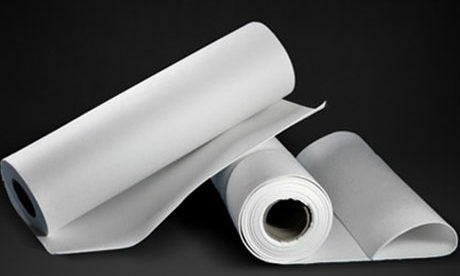 It is neutral refractory material. Cause the Cr2O3 is neutral oxide. Chrome brick has good resistance to alkaline and acid slag erosion. 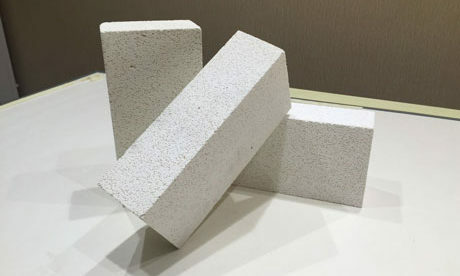 Chrome firebrick sometimes is used in the adjacent position of acid refractory brick and alkali refractory brick to avoid the reaction in the high temperature. 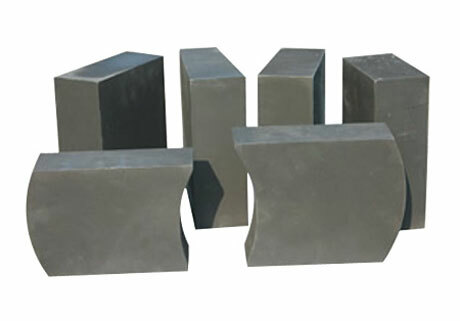 Magnesia carbon brick is manufactured with high purity magnesia, fused magnesite and graphite powder as the raw materials, and adding mid-temperature pitch as the binding agent through high pressure sintering. 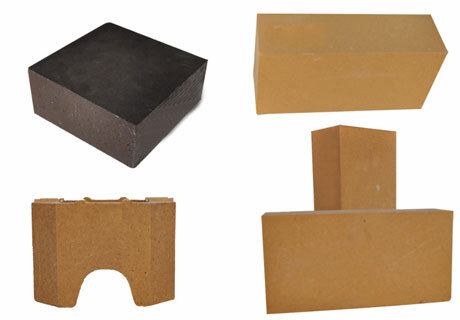 Magnesia carbon brick is a kind of new type high grade refractory material with features of thermal stability, high refractoriness under load and high temperature bending strength and strong basic slag erosion resistance. 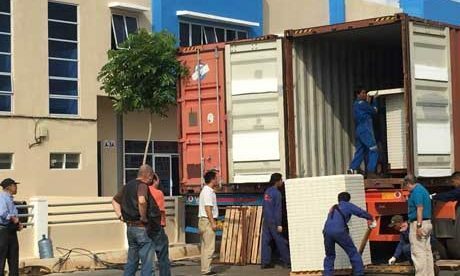 Magnesia carbon brick is one of main refractory for steel furnace. It is mainly used in converter, electric furnace and steel ladle of external refining. 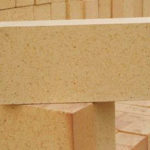 As its property is better than magnesite brick’s and tar dolomite brick’s. Use magnesia carbon brick in the steel refining furnace that can improve the furnace’s service life.